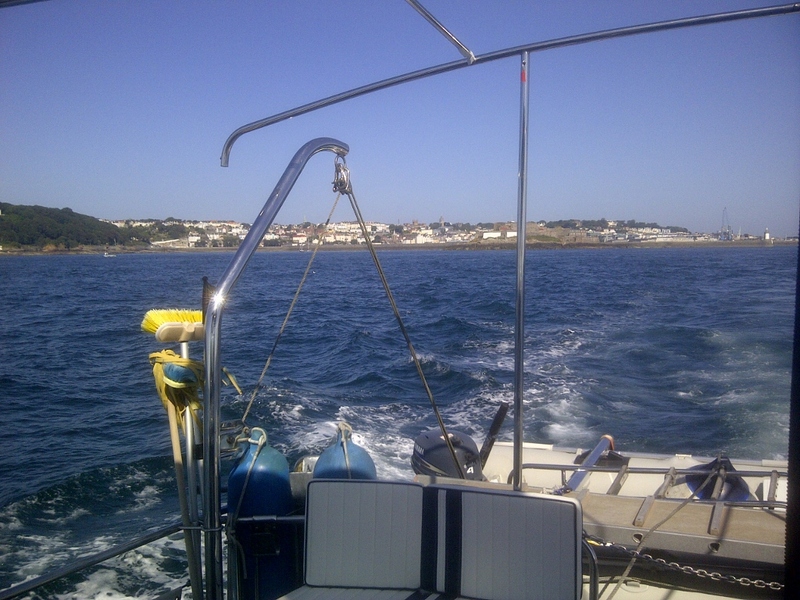 By adopting our optimum economical cruising speed of 8 knots, the tides are most favourable a while before LW St Peter Port so as to arrive in St Helier with the tides following. 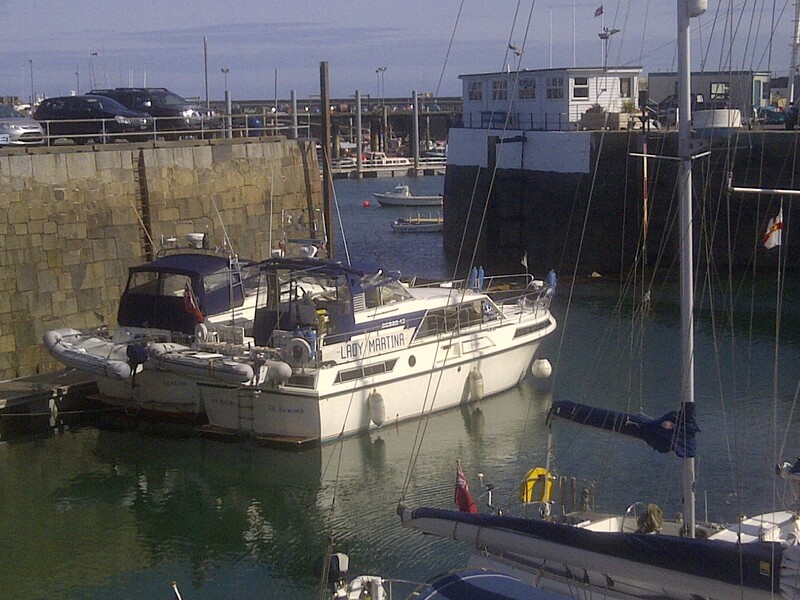 Unfortunately the exit window at St Peter Port Victoria Marina is only around 2hrs +_ HW (or a little more with care) and so that is not a solution. 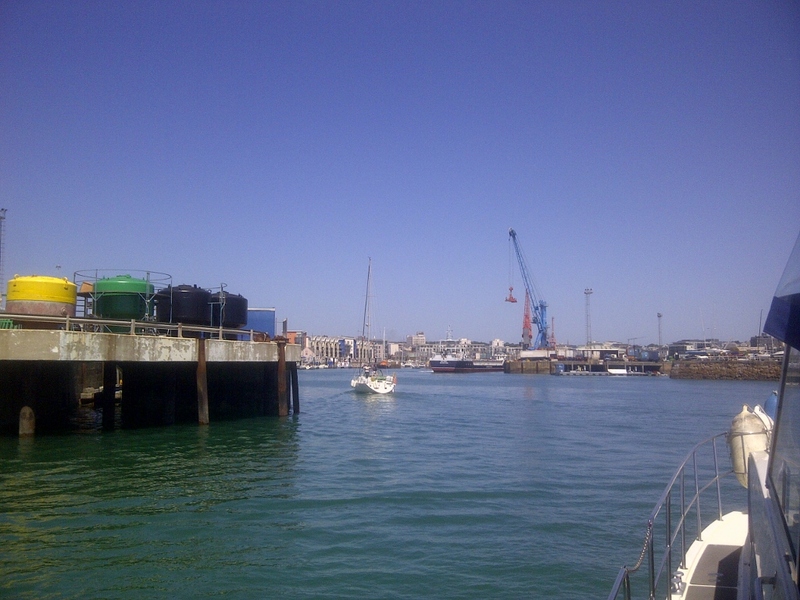 Fortunately, St Peters Port had installed excellent pontoons in the outer harbour which have water and shore access, if no electricity, and so we arranged to move from our inner berth to one of those the day before.